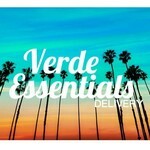 Verde Essentials views itself as a humble and reliable provider of medical marijuana in the Los Angeles area. The company guarantees to professionally deliver your medications to your home in the most discreet and convenient manner. The assortment here includes many cherry-picked flowers, concentrates and edible products of the highest quality. With a customer-focused approach, Verde Essentials strives to become better and better in order to ensure patient’s satisfaction. Finding the right grade of medical marijuana to treat a specific condition can be quite challenging. That is why any of company’s friendly and professional team members will gladly help you find exactly what you need.